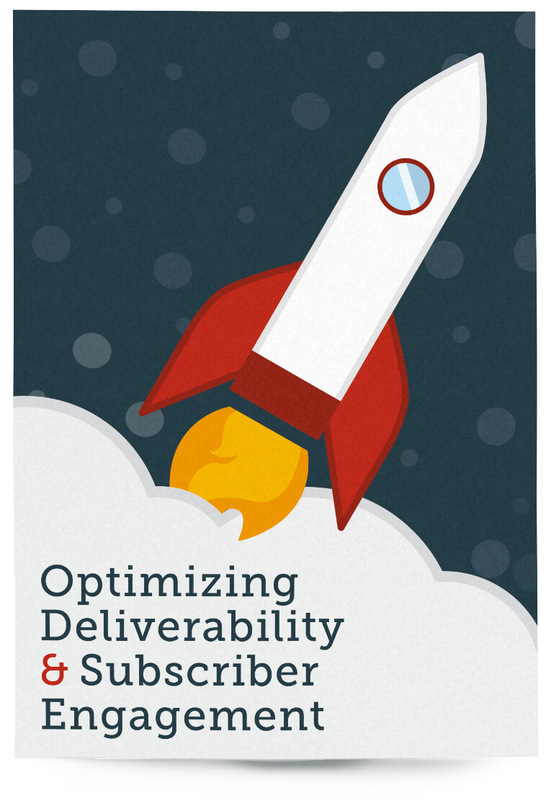 Deliverability is more than just ensuring your emails make it to the inbox. It's about getting your emails in front of subscribers. When your emails are seen, you increase your opportunities for more opens, clicks and engagement. Send emails with AWeber and trust that you have a team of experts and the technology working for you 24/7 to ensure your emails are optimized for success. The most important thing to us when choosing an email marketing company is deliverability (emails actually making it to our customers inbox instead of spam). When we did our research, we found that nobody could touch AWeber’s deliverability. Are you crossing your fingers, hoping your emails get into your subscriber's inbox? AWeber has made deliverability a core function of our product, rooted in our history in the industry and internal infrastructure. When you combine the tenure of the team members dedicated exclusively to email delivery at AWeber, you get over 51 years of deliverability management and expertise. Now that’s the kind of knowledge and support you want behind your emails. AWeber's founder, Tom Kulzer, developed the first autoresponder back in 1998, so he knows a thing or two about the email industry and what it takes to get emails delivered to the inbox. And over the course of almost two decades, he continues to provide insight and best practices to customers. Our in-house reputation management system runs 24/7 and monitors dozens of email signals to determine who’s doing what. This data allows our Deliverability Team to detect attempted email abuse in real-time, and remove any accounts with low quality or suspicious sending patterns – which is the secret to good email delivery that many other companies don’t share. Anyone can call themselves an email service provider. But a real provider owns the stack from application down to ARIN block. In other words, they own and control the infrastructure to ensure the best delivery for customers. Here at AWeber, we’re proud to say we own the full delivery stack. Many other and newer services, on the other hand, outsource their email delivery to third parties. Have questions about our deliverablity? Let's connect. Our Deliverability Team is staffed with experts who are here to protect the deliverability of our customers. They also work closely with customers, educating them on industry best practices that will improve their email marketing strategies. The emails you send and the content within them can have a big impact in whether or not an ISP chooses to let your emails pass their barriers and into the inbox instead of the spam folder. ESPs can do a lot to ensure your emails are sent in a way that’s optimized for good deliverability. At AWeber, we lead the industry with our in-house team of experts and infrastructure to ensure our customers’ emails make it to the inbox. 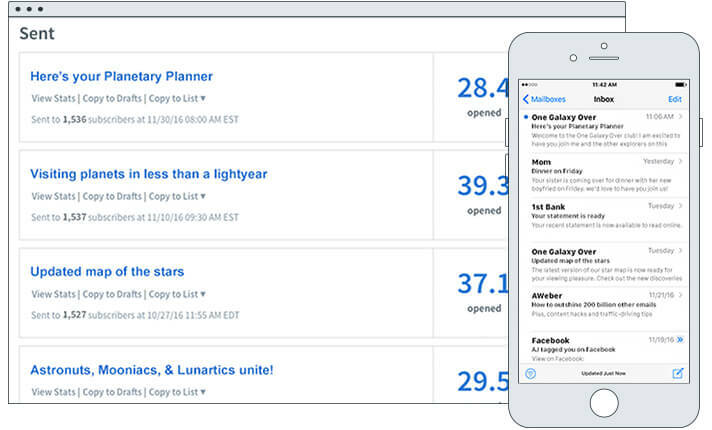 ISPs like Gmail and Yahoo want subscribers to have the best experiences in the inbox. As a result, they frequently update algorithms to better detect spam emails and keep them away from consumers. Your subscribers are the ones who determine whether or not your emails are valuable. Make sure your email content is aligned with their expectations, and frequently send emails they’ll love! Ready to improve your emails? Want to get more of your emails into the inbox, increase email opens and encourage subscriber engagement? Sign up for our Deliverability Toolkit - get a checklist with over 30 tips & a 7-day email course to make sure you're on track for deliverability success. Have a question about getting emails delivered to the inbox? Curious to learn how AWeber earned its reputation as an industry leader in deliverability? Contact our Deliverability Team. Live customer support is available by email and live chat 24 hours a day, 7 days a week, and by phone 8AM-8PM ET Mon-Fri . Text Chat: Click the chat icon on this page to chat with our customer solutions team.